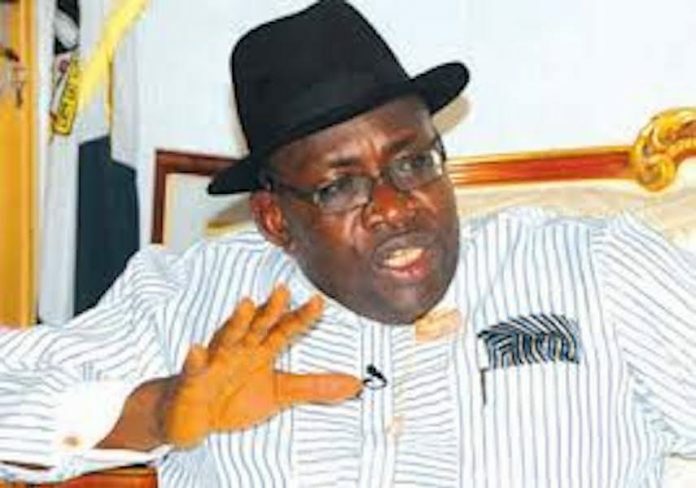 Bayelsa State Governor, Mr. Seriake Dickson, yesterday alleged that 40 persons of Ijaw extraction were killed in Rivers State during the recent general election in the country. Dickson, who listed the locations of the killings as Abonemma and Buguma in Rivers, called on Ijaw politicians to stop aiding the killing of innocent citizens in the area in their desperation for political advantages. This is coming as a former Managing Director of the Niger Delta Development Commission (NDDC), Mr. Timi Alaibe, has described as sad and undeserving, the death of Seidougha Taribi, the Senior Special Assistant on Grassroots Mobilisation to Dickson, and the Government House Photographer, Reginald Dei, both of whom were killed during the elections and buried last weekend. A statement issued yesterday by Fidelis Soriwei, Dickson’s Special Adviser on Media Relations, noted that the governor spoke when he paid a condolence visit to the Amayanabo of Kalabari Kingdom, King Theophilus Princewill, Amachree XI. Dickson condemned the attitude of some politicians who deployed their federal links to the detriment of the people and called on Ijaw sons and daughters from the Niger Delta region who claim to have federal support to use their contacts to accelerate development, and promote peace and stability in the communities, clans and region. He urged the federal government to identify and prosecute the security operatives involved in the slaughter of innocent people in Rivers and Bayelsa states and elsewhere in Ijawland during the last elections. “The federal government needs to identify and bring to book all those soldiers who carried out the dastardly murder in Abonnema and other places in Kalabari Kingdom in Rivers State as well as those who killed and maimed and destroyed property in Bayelsa State and other Ijaw communities. We, the Ijaw people are a peace loving people and don’t deserve this assault,” he said. He described the visit to the palace of the monarch as a sober one, noting that his state also had its undeserved share of brutality and killings by soldiers during the elections. Dickson, who commiserated with the entire Kalabari kingdom and families of the deceased, said the ancient kingdom suffered more bloodshed than any other community in the presidential election, which he described a contest between brothers and friends. He commended the king for the peace and stability in his domain and sued for prayers for continued peace and development despite provocations and challenges. He added that he would mobilise the leaders of the Ijaw Nation to honour the revered Kalabari monarch on his 90th birthday in January, next year. Meanwhile, a former Managing Director of NDDC, Mr. Timi Alaibe, has described as sad and undeserving, the death of Seidougha Taribi, the Senior Special Assistant on Grassroots Mobilisation to Dickson, and the Government House Photographer, Reginald Dei, both of whom were killed during the elections and buried last weekend. The two were murdered last month in their respective homes in Oweikoroagha, in Southern Ijaw Local Government Area of Bayelsa State on the day of the just-concluded presidential and National Assembly Elections. In a statement issued in Yenogoa yesterday, Alaibe said the murders were not only a loss to the people of Bayelsa State and Nigeria but a sad commentary on Nigeria’s democracy. He stated that more painful was the fact that many weeks after the assassination of the two Nigerians, no one has been arrested and prosecuted, adding that the killing speaks to the level of insecurity in the country and at the same time, the reduction of life to nothingness. “Till date, the people of Bayelsa and other Nigerians are appalled that those who murdered these innocent Nigerians on a day they were to perform their civic responsibilities have not been apprehended and prosecuted. This calls to question the impartiality of our security agencies and their readiness to enhance the faith of the Nigerian people in their operations.